Innovation is the lifeblood of success. Nowhere is this more evident than in the sports and performance nutrition market, where savvy consumers actively seek the latest nutritional science delivered in new and interesting formats and flavors. According to data from Mintel, the importance of flavor is a key purchase driver - over 75% of consumers are influenced by flavor choice when purchasing a sports nutrition product - so creating innovative flavors for this market must remain a priority for any brand looking to thrive. As part of our ongoing flavor exploration journey, we wanted to ensure that we uncovered the stars of tomorrow and beyond. Utlizing world class trend data, coupled with analysis of social media, food blogs and Google search trends, we have identified seventeen flavors from North America and Latin America we anticipate to be the up and coming flavors in the sports nutrition category over the coming years. Each flavor has been placed into one of four categories that illustrate where the flavor sits in terms of its lifecycle, from emerging flavors through to established flavors with growing potential. Download our brochure to find out what we're predicting as the future trends of sports nutrition and why. Valued at around $9bn in 2018, the United States has the largest, most advanced nutrition market on the globe. Consequently, many parts of the world look to North America for inspiration, particularly for flavor trends. From indulgent American classics like S'mores, to Asian flavors inspired by the country's position as a cultural melting pot, we have selected ten different flavors currently gaining traction in the USA which we expect to make their way to other regions. Although less developed than the North American market, the growing middle class across many South American countries has created some of the fastest growing sports nutrition markets - particularly in countries like Brazil, Mexico, Peru and Argentina. Combined with an increasing global interest in Latin American cuisine, and the spotlight of recent sporting events shining on Brazil, many sports nutrition manufacturers are looking for the next big flavors from these regions. From our research, we have settled on seven flavors from the region with strong market potential across the globe. 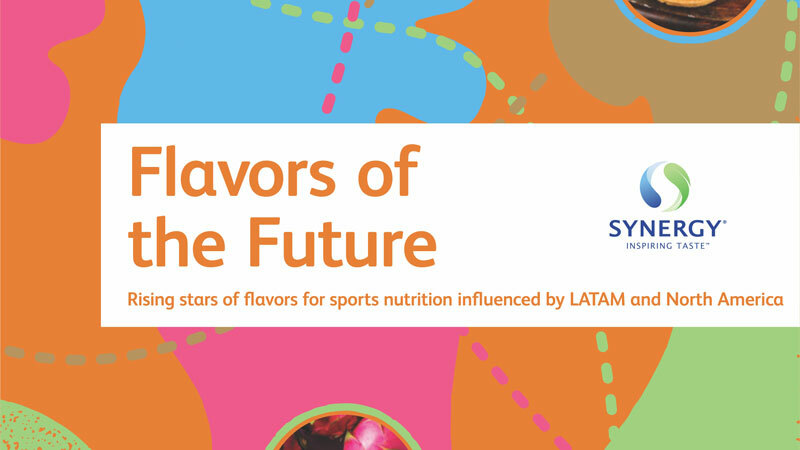 Fill out the form below to download a copy of the Flavors of the Future brochure and discover the hottest new sports nutrition flavor trends from North America and Latin America. Download a copy of the Flavors of the Future brochure today! Utilizing the range of food and drink trend resources at our disposal, our team have created a 'hot list' of flavors we expect to trend in sports nutrition.